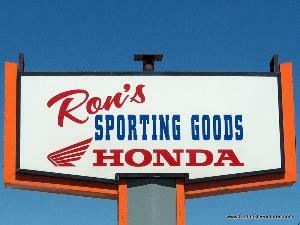 At Ron's Sporting Goods you will find all that you need for any and all of your Outdoor adventures. We carry a wide variety of Firearms from rifles to handguns, and the prices are always Honest with no gimmicks. Along with our Firearms, we do stock ammunition for them as well, including reloading supplies from powder to primers we got what you need. Keep scrolling on to see what else Ron's has to offer you. All sales of Firearms and Ammunition are in stock supply and sold In Store ONLY. Also in this store you will find a Large variety of Fishing equipment and supplies. With having the freshest meal worms and night crawlers, to having the right lure or bait to catch whatever you are going after. We have what you need.